Day of Hope - 89.3 KSBJ God listens. Do you need encouragement in the area of forgiveness? Listen to KSBJ as we share incredible stories of forgiveness and talk to pastors and counselors on the air. We ALL need forgiveness. Have you been forgiven? We don’t claim to have all the answers, but we know our God does! 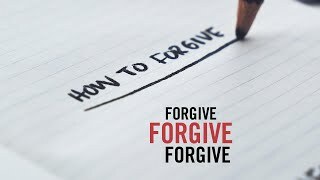 Here are some free biblical resources about forgiveness in Christ and forgiving others.